The Wild Reeds can be defined by one word: Harmony. The sound from this LA based band fronted by Kinsey Lee, Mackenzie Howe, and Sharon Silva dips in and out of multiple genres – some ethereal folk, some rock and roll rhythm and a hint of country twang (from Nick Jones and Nick Phakpiseth), but it all comes back to the root of this bands power: harmonies that create an instrument in and of itself. 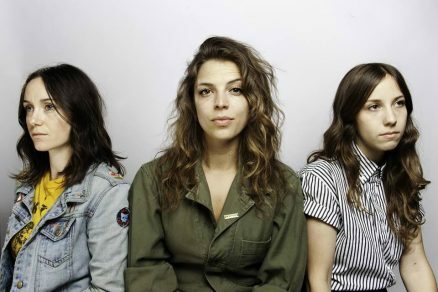 The Wild Reeds released their formal debut album Blind and Brave, in August 2014 at The Troubadour in West Hollywood. The album, produced by Raymond Richards at Red Rockets Glare Studios (Local Natives, Parson Redheads, Honey Honey, Dustbowl Revival), expounds on loss, love, growing up, and the experience of artists and workers pursuing their dreams.